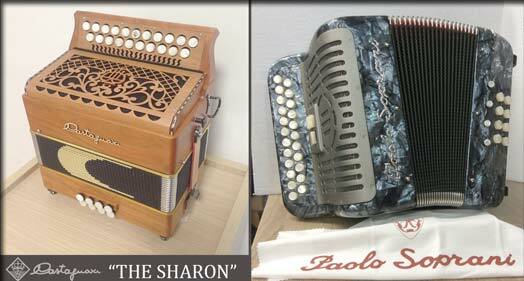 The Irish company, All About Accordions, stocks a wide choice of button and piano accordions. Whatever you're looking for you can find it at Seán Garvey's "All About Accordions" including the Garvey AAA, Serenellini, Paolo Soprani, Castagnari and Hohner accordions. There is also a wide selection of accessories including Fuselli Italian padded shoulder straps, cases and reeds. As an accordion player himself Seán has been supplying accordions to players world wide since 1997. Student accordions are guaranteed for 2 years and professional accordions for 3. Check out the All About Accordions website for more information on their wide range of button and piano accordions.